We’ve been thinking a lot about bullying recently, and not just about bullying but about the pressures of making and managing friendships and relationships for young people today. When I was in school (many years ago now) life didn’t feel particularly simple – I’m not sure it ever does for any child or teenager. But, comparably, I really believe it was. Back in the 90s, at 3pm I walked home from school and shut the door behind me. Unless I chose to, I didn’t have to see or speak to any of my friends from school until 8:45am the following morning. And if any of them wanted to speak to me then they needed to take a route that invariably involved my parents – namely my mum answering the phone or wanting to know who was at the door when Neighbours was on. I’m not saying for a second that the 90s where a blissful, bullying-free time where everyone got along (they were not! ), but a parents’ ability to keep an eye on their child was perhaps stronger, as was the ability to hide in the sanctuary of your bedroom listening to Take That on repeat. So, where does this leave us – as adults, as educators, as Generation X who love tech but didn’t grow up with it? It leaves us needing to talk to young people; to open a dialogue and ensure that we get it, that we know not just what it all is (the apps, the filters, the games, the lingo) but we also know how it feels. What need or function does that phone play in a young person’s life, how important is it, how do they feel when they use it, and how do they feel when things go wrong? We can’t be afraid of the technology and, after all, fear usually only comes from the unknown – so let’s get to know it. That’s precisely what we’re doing, as we develop a new performance for Year 7 pupils about Online Safety. We’ve got a model that works really well for Key Stage 2, again developed in partnership with children, and we’re going to apply the principles of this to Key Stage 3 – with a lot of support from the people we work with and for. We’ve done some preliminary workshops to help us develop our understanding (NO ONE uses Twitter anymore, who knew? We still use it, but don’t tell any teenagers, we’ll be deeply uncool) and we’ve already made some fascinating discoveries about the ways young people are using technology to ask each other questions, learn about themselves and ‘rate’ each other. Yep – you read that right. Are you an ugly or a fittie? If you go to a high school, there’s a good chance you’ll be in one of those categories according to your classmates and their Instagram accounts. The next step is sharing some of our ideas with young people and getting feedback. We’re excited – and nervous! 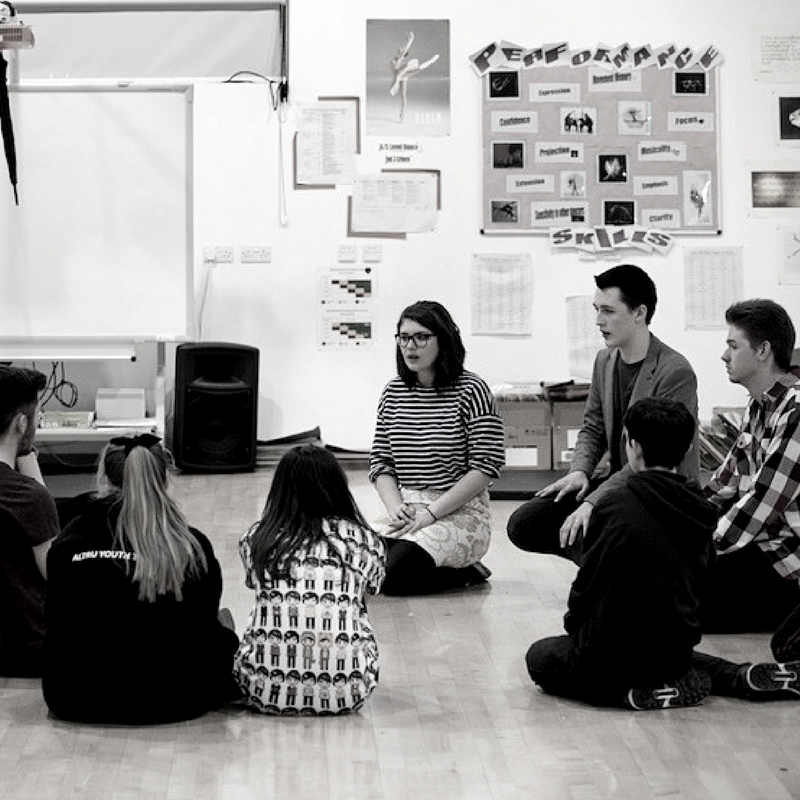 Whatever happens, we know that at the end of this process we’ll have a performance which is relevant, up to date and says more than ‘just switch it off.’ We’ll have a play that has been designed by 11 – 13 year olds – not the 30 somethings who want to help and support them. And for us, at Altru, that’s exactly how it should be. *Data from the ‘Children and Parents: Media Use and Attitudes Report’ published November 2017. Read the report here. nextLearn and Present - in action! Copyright © 2015 Altru. All rights reserved.